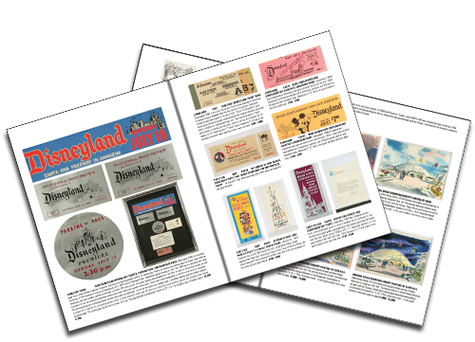 This is the softcover version of our Collecting Disneyland 2015 auction catalog. The auction has concluded, but the knowledge you can gain by reading through this gorgeous reference book will never end! 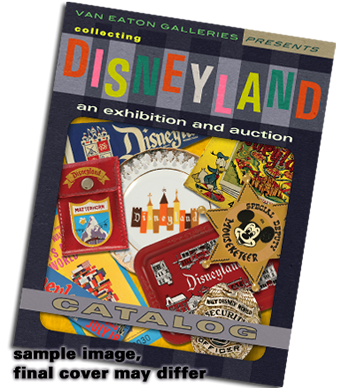 The auction featured over 800 pieces that are detailed in this 273 page reference book. Rather than describing only the simple measurements and condition notes for each item, our catalog provides a better understanding of what makes a seemingly ordinary item a special treasure for a collector, and more importantly what can make a rare artifact into the key to any collection. 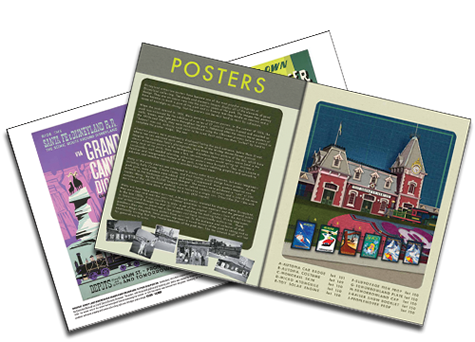 This is the softcover variant of the catalog which was published in a run of 2000 copies and is not limited to the original printing. All catalogs come with a copy of the auction prices realized.